Axios Mobile Assets Corporation, based in Vaughan, Ontarion, has announced the expansion of its relationship with Trillium and Centrum Valley Farms, located in Ohio and Iowa, respectively. With this expansion, the two egg producers will completely convert to the Company’s pooled lightweight pallet solution, increasing Axios-serviced distribution centers from two to thirteen. The additional DCs will provide Axios with growth opportunities by increasing the size of the company’s pool and number of issuances, establishing new lanes and driving additional revenue. 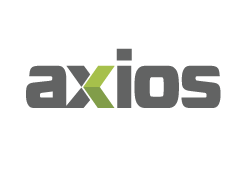 Axios Mobile Assets Corp. offers a comprehensive logistics solution for customers involving a lightweight composite pallet enabled with RFID, as well as an integrated data management system.